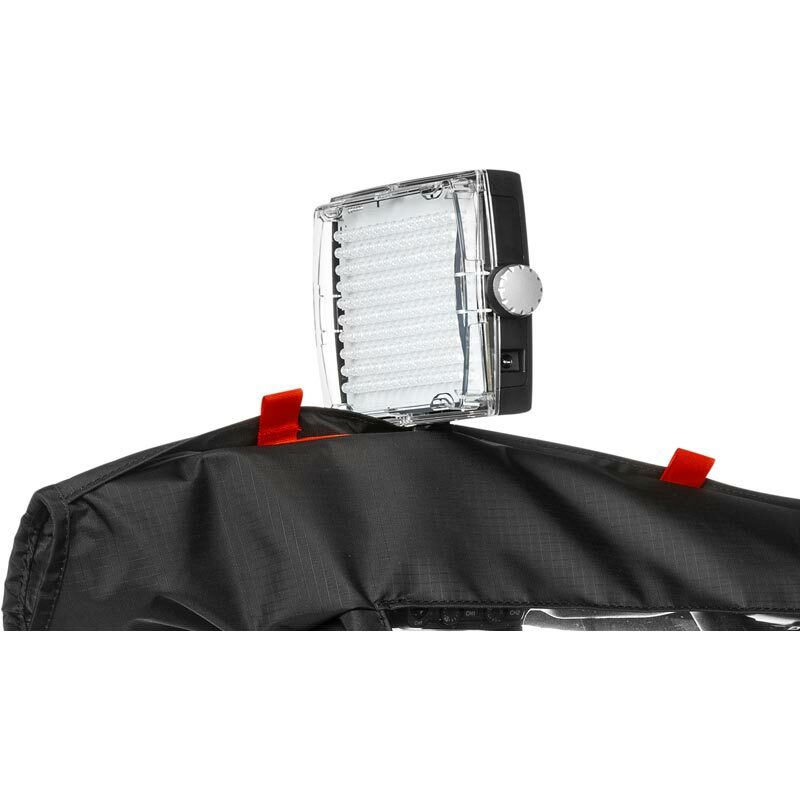 Keep shooting in any weather with this Manfrotto Pro Light Camera Element Cover to protect your recording equipment in even the heaviest downpours. The cover is made from waterproof RipStop material which keeps medium and smaller camcorders and their accessories safe from harm and is also suitable for use with DSLRs with full video shooting rigs. The camera controls can easily be seen through the clear thermoplastic polyurethane (TPU) panels so you won’t need to struggle with finding the right buttons – and you’ll be able to shoot and record in even the most challenging of weather conditions – conditions where even expensive weatherproof cameras would struggle to manage. 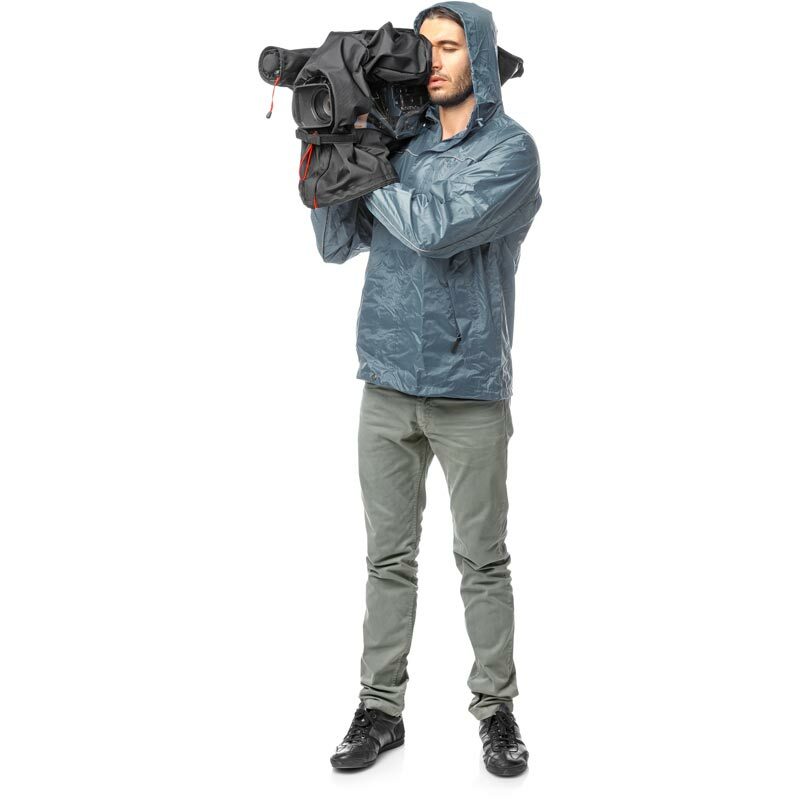 With an open vent under the camcorder, your equipment will be given the right amount of airflow and can be connected to a tripod for a safe and steady shoot – even if you’re braving the snow at the top of a mountain! 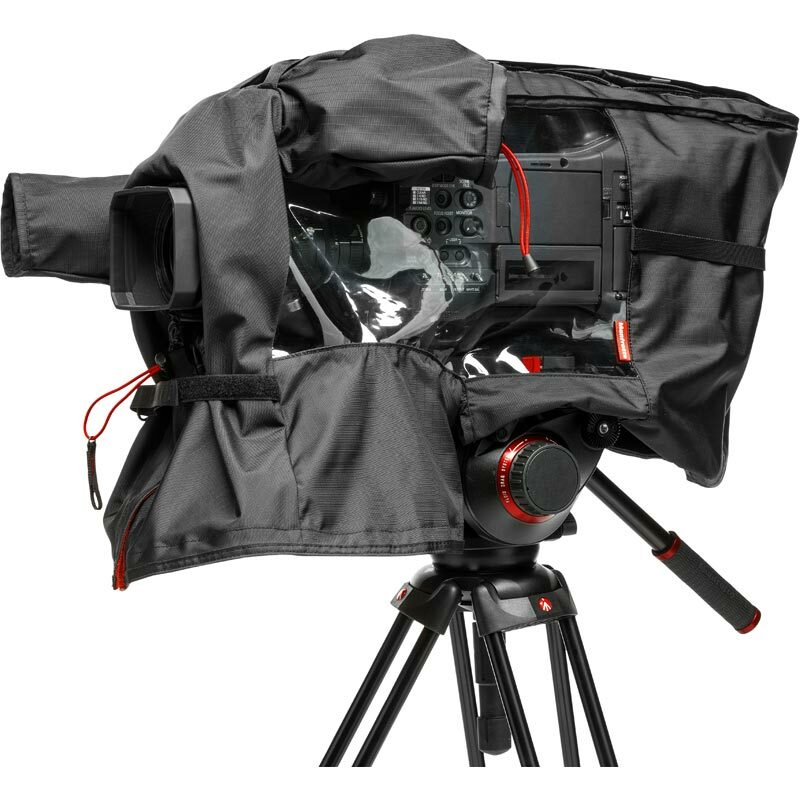 This video rain cover can even be used when you want to keep your recording equipment in storage as it protects against dust and keeps everything in pristine condition, meaning your camera’s life will be extended and you’ll be able to get back to shooting sooner than ever before.